A zesty, super flavorful soup made with fresh garden zucchini and tomatoes. Sweet Italian sausage adds more great flavor too! 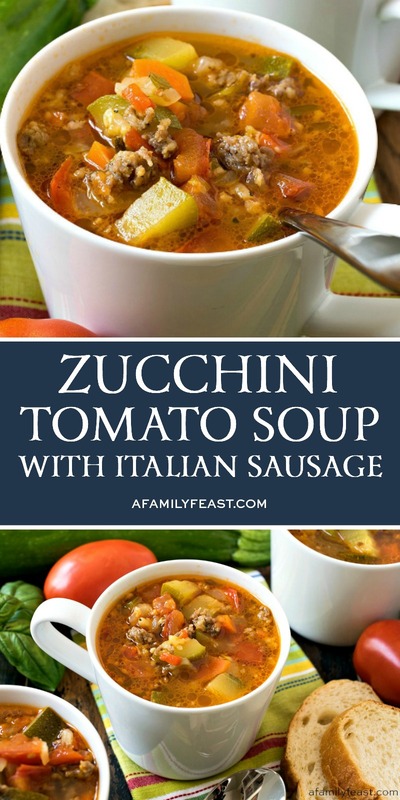 This Zucchini Tomato Italian Sausage Soup is a delicious way to use up all of those fresh garden vegetables! In fact, we love the convenience of cooking up a big pot of this soup, then reheating leftovers in the microwave for a light, quick meal. 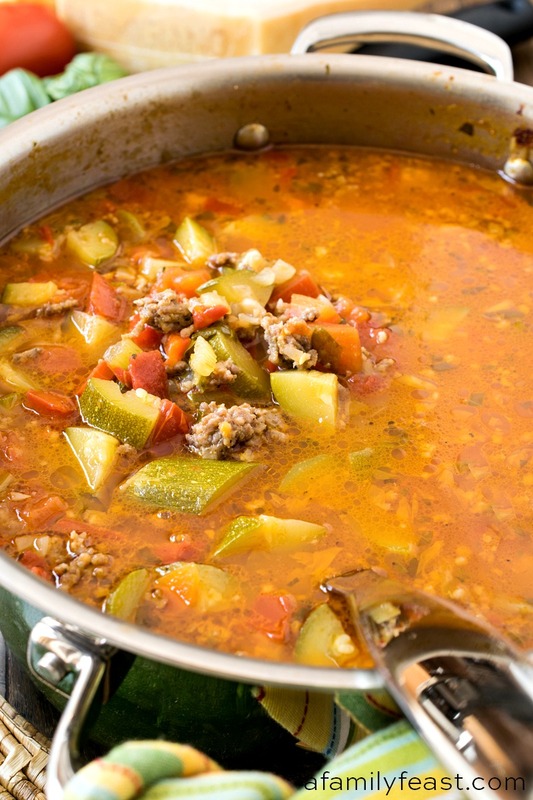 How do you make Zucchini Tomato Italian Sausage Soup? 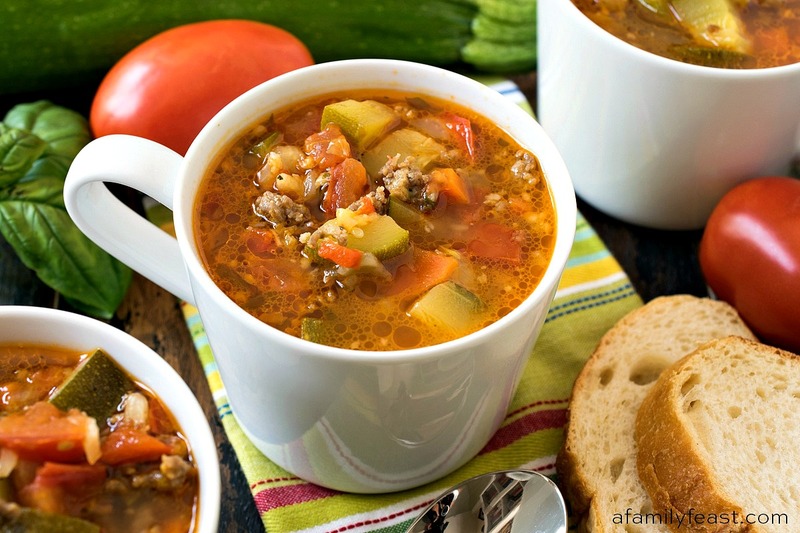 Most of the prep in this Zucchini Tomato Italian Sausage Soup is chopping and dicing and grating – garden zucchini, tomatoes, onions, celery, red bell peppers, garlic, and carrots, plus fresh basil and oregano, and Parmesan cheese. After browning some sweet Italian sausage and sautéing the onions, celery and bell pepper in a pot, you’ll add all of the other ingredients including vegetable stock to the pot. 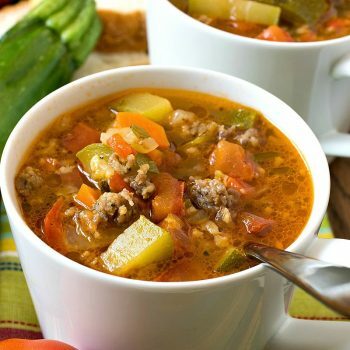 Then, a ten to fifteen minute simmer on the stove finishes off this flavorful Zucchini Tomato Italian Sausage Soup – just long enough so that the zucchini and other vegetables are tender and the flavors meld. Can I add other vegetables in this soup? Absolutely! 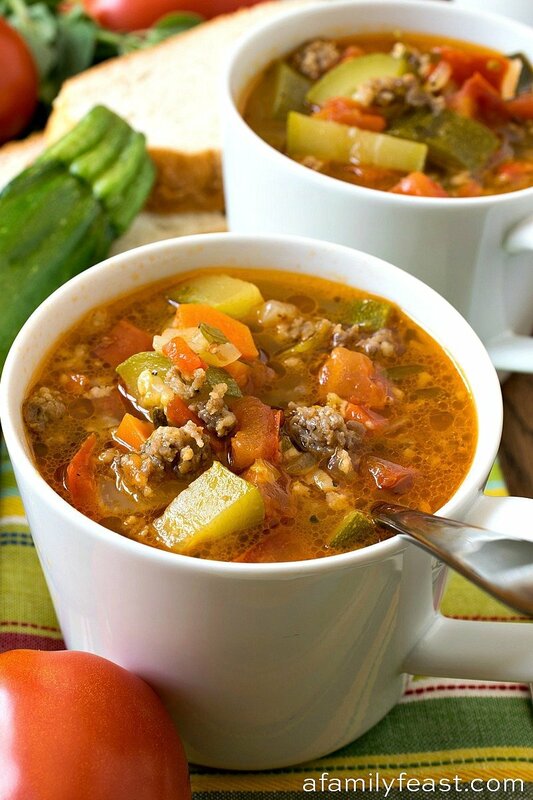 We created this Zucchini Tomato Italian Sausage Soup to use up fresh zucchini, tomatoes and some of the fresh herbs from our garden – but you can also add other fresh vegetables and herbs if that is what you have growing in your garden. You can also add pre-cooked pasta to this soup if you’d like. And, if you like things extra zesty, feel free to swap in hot Italian sausage instead of the sweet. 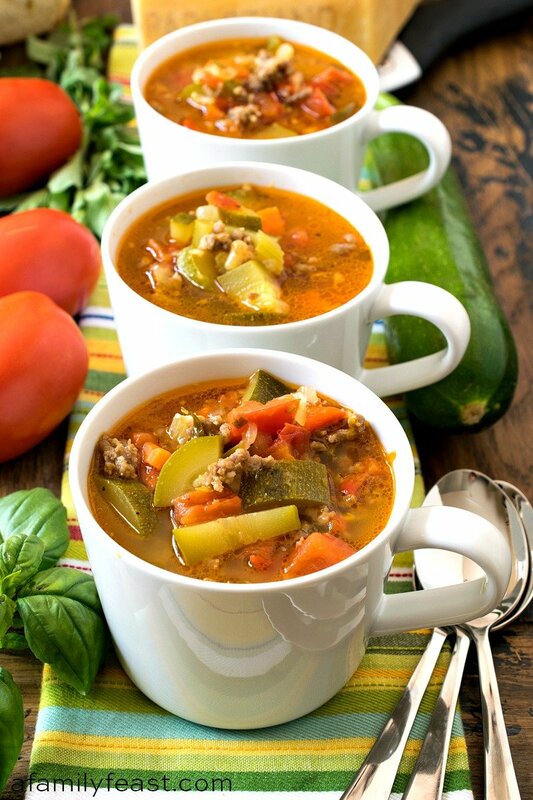 Can I make this Zucchini Tomato Italian Sausage Soup in the slow cooker? We haven’t tried making this recipe in the slow cooker ourselves – mostly because it only takes about thirty minutes (or less) to cook this soup on the stove. While a slow cooker will sort of technically work, you’ll still want to brown the sausage before adding it to the slow cooker, which is half of the cooking time listed in this recipe. Additionally, the zucchini may end up over-cooked before the rest of the vegetables are tender. So, while it’s possible, we’d still recommend cooking this Zucchini Tomato Italian Sausage Soup recipe as written because it will take less time and the results will be better. If you want to save some time when you are rushing to get dinner on the table, feel free to chop all of the vegetables ahead of time. 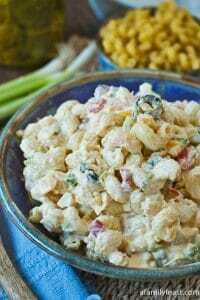 This recipe is easy & delicious! It’s one of those kinds of soups you want to eat to warm you up on a cold day or a feel-good soup to soothe your cold/flu. I doubled the recipe & added some small shell pasta & a couple of bay leaves, & instead of using fresh basil & oregano, I used dried. Excellent taste! Made this last night. OMG!! It was delicious and has even more flavor today. 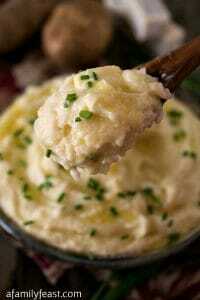 Great for the cold weather and it’s healthy. Used 2 pkgs of chicken sausage with feta and spinach instead of the Italian sausage, jarred roasted red peppers and chicken broth. Also didn’t have quite enough zucchini so added some finely chopped kale in the end. It’s a keeper for sure. Thanks for sharing this recipe. You’re welcome Cindy! Glad you enjoyed the soup! Made this today, added some garden fresh cherry tomatoes, it was a hit with my 4 small kids AND their great-grandparents. Thanks for the recipe! You’re welcome Michelle! 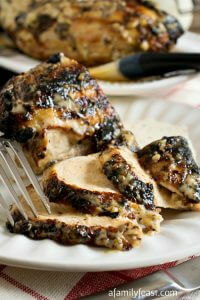 We’re so glad everyone is enjoying the recipe! I would like to make this in my crockpot…..any suggestions, other than I guess I should add The zucchini at the tail end? Hi Audrey – Yes – assuming you plan to cook it in your slow cooker for a couple of hours, the zucchini would definitely disintegrate, so adding it at the end (just long enough for it to get tender) would work best. I made this today. I substituted a 15 oz. can of Hunt’s diced tomatoes (or so I thought) and didn’t notice until I’d popped the can open that it was WITH jalapeno and habanero peppers. Turns out it was quite a happy accident. The soup is amazing – spicy, but not overly so. I served it over brown rice. I will make it again! Sounds delicious Jeanette! 🙂 We’re glad you enjoyed the soup – with the extra peppers! Made this soup today. I added an extra 1/4 cup tomato paste. It is terrific. Will definitely make it again. Thanks Trina – glad you liked the soup! Made this the other day and it was a hit. I wanted to use a lot of things from our garden so I did add a couple diced potatoes that we dug up also. I do have a question on the Parmesan cheese. Where do you find Parmesan cheese that also has a rind? Our local store only has already shredded cheese or the powdered grated cheese. Hi Sandra – So glad you enjoyed the recipe! We buy our Parmesan wedges with the rind at Costco. Sometimes our supermarket also has smaller pieces with the rind still on in the gourmet cheese section that is located near the deli. Hope that helps! Thanks for writing to us today. Hi Bethany – We haven’t tried freezing it ourselves – I suspect the zucchini would get a little mushy. But if that doesn’t bother you, I think you could definitely freeze it. Do you think it would be possible to cut up the zucchini and freeze it and then make the soup later? My neighbor gives me giant zucchini and I can’t use it all at once so I’ve been freezing some of it. Thanks! Hi Helen – I found this article on another site that you might find helpful – it suggests blanching it before you freeze it. https://www.thekitchn.com/how-to-freeze-zucchini-57275 And yes, you can definitely make this soup with the frozen chunks of zucchini. Hope this helps! This was a hit with my entire family. I added shell pasta to the soup. Delicious! Great idea Jackie! Glad you enjoyed the recipe! Could you substitute ground beef and dried basil and oregano? Hi Dottie – Sure – the ground beef has a different flavor profile than the sausage but it would still work in this soup. (In addition to the dried basil and oregano – if you want to mirror the seasonings in the sausage – you could also add some fennel seed, red pepper flakes, and maybe some rosemary too.) Hope you enjoy the soup! Loved this soup tweaked it a lil added 2 small potatoes and added only 1 large zucchini the last 1/2 hour …cooked slow and low for about 1 and 1/2 hours delicious! !Will definitely make again thanks! Thanks Diane! So glad you enjoyed the soup! Very very Good. I added the zucchini at the end to avoid over cooking. Also, added two small diced potatoes. Definitely a recipe to make again. This was AMAZING! Thank you for sharing!! Just made this!! Soooooo good!!!!! Thanks Rachel! So glad you enjoyed the recipe! Hi, my name is Tammy K. I just made the Zucchini tomato Italian sausage soup, & I just want to let you know, I think it’s terrific!!!! My boyfriend likes it too. Thank you so much Tammy! We’re so glad you both enjoyed the recipe! Yum! I also eat soup year-round. I have a bunch of turkey stock from our Thanksgiving turkey, so I’ll use that in place of the veggie stock. That will definitely work Tera! Hope you enjoy the soup! Like you and Jack, we eat soup all year. 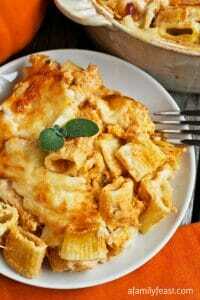 It’s my favorite comfort food ever, especially when it is based on fresh vegetables. My husband is at the Amish farm near us and picking up fresh green beans,onions and Peaches and Cream corn. Makes me happy!!! Soup will be made this afternoon, and we will share with our condo neighbors. Happy summer to you both.